Amazon, Google and Sonos are all offering sophisticated speaker systems that offer either multi-room audio, voice control, or both. Scott Wilson weighs up the pros and cons of each. A few years ago, selecting a system for listening to music at home was easy. Typically you’d pick up an inexpensive mini hi-fi system for the bedroom and maybe splash out on some separates and good speakers for the living room. All you really had to worry about was whether you needed a CD auto-changer. In 2016, the landscape is very different. All-in-one music systems are generally geared towards those who want to play music from their phones or computers via Bluetooth, and now these are slowly but surely being made obsolete by connected systems designed to stream to every room in our homes. 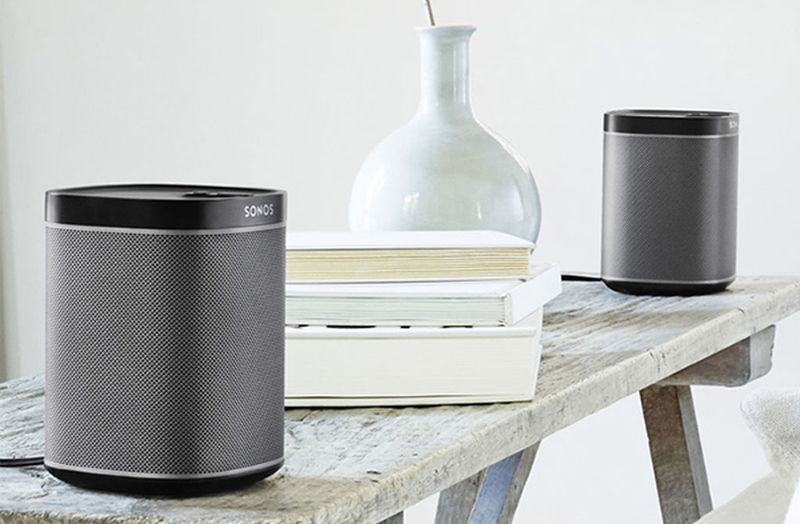 If you’ve decided that you’ve outgrown your tinny Bluetooth speaker and you want to enter the future, the three key brands offering the most sophisticated experience are Sonos, Google and Amazon. Despite the advanced technology inside each, they’re surprisingly affordable, making them an attractive proposition for anyone browsing Amazon. However, the expectations of each system may not match the experience. This feature looks at the pros and cons of each of the big three systems and should help you decide whether you need to upgrade at all. Do I actually need to go multi-room? The first thing you’ll need to decide is whether you really need to go multi-room or not. If you only want to stream music in one room, a simple Bluetooth speaker or system will be fine. Once connected, Bluetooth is stable over short distances and visitors to your home will be able to connect quickly and easily with their phones. However, it creates a direct link to the audio output of your device, meaning that any email alerts or notification sounds will be heard over the system as well. Multi-room systems such as Sonos or Google Home are much more sophisticated. If you have enough speakers, you can use a single app to play different music in different rooms or have the same track play in all rooms. Also, they’ll only play the music through your speakers, not any other notification sounds. However, to make the most of it you’ll need to spend a lot of money on speakers and have a decent Wi-Fi network. If you struggle to use your laptop in the living room because the router is in the kitchen, a multi-room system is pointless. Do I need voice control? The latest development in home audio is voice control. If you own an iPhone or Mac with Siri, you’ll know how it works: ask it to play what you want and you save yourself having to deal with iTunes. It’s debatable whether most of us actually use it much, but that hasn’t stopped Amazon and Google from developing their own voice control systems. Voice control makes far more sense in a home context than on a mobile device, particularly for selecting music. Amazon’s Alexa and Google’s voice technology allow you to select music based on artist or mood, which is perfect for when you’re feeling indecisive. In a kitchen setting, where you may not have clean hands to select music from your phone, voice control is particularly useful. However, if you’re a heavy listener of music with obscure taste, the lack of precision involved in using voice control to select music may become irritating. Sonos doesn’t feature voice control, but being able to use its control app to tie in services such as Mixcloud and SoundCloud as well as Spotify will be a major selling point to some. There’s also the privacy issue: Amazon and Google’s voice control systems are always on and listening. If you’re not comfortable with the possibility of your data being harvested, don’t invest in voice control. Sonos is the original multi-room system, and despite a few of its products looking a little dated, it’s still one of the best options in terms of sound quality. The recent Play:5 ($499, while expensive, sounds incredible for its size. You can pair two of these speakers, but the stereo sound that comes out of one is more than enough for the average living room. Beyond the high-end model, there’s the entry-level Play:1 ($199) and mid-range Play:3 ($299) speakers. The Play:1 is as small as a Beats Pill, but it sounds better than most portable Bluetooth speakers for a similar price. The Play:3 is slightly more powerful and is not much more money for a speaker that’ll fill small living rooms and bedrooms with ease. Besides a whole home of Sonos devices being very expense, Sonos has a few drawbacks. While you can use it with almost any music service (except YouTube), the proprietary Sonos app’s sub-menus are a labyrinth, and you have to use it for everything except Spotify. There’s no Bluetooth either, so if you’re having a party then guests will need to download the app (which is potentially an advantage depending on how much of a playlist control freak you are). Amazon’s Echo speaker ($179.99) has the potential to change the streaming business. Amazon is offering owners of the Echo the opportunity to subscribe to its new Music Unlimited streaming service for just $3.99 a month – a huge discount on the $9.99 of Spotify and Apple Music. Despite its tiny size, it sounds better than it looks, though it’s better suited to smaller rooms or kitchen use. Its most useful feature is that because it’s always connected to the internet, it doesn’t need to be connected to a phone or laptop to use. Instead, you use its voice-control system Alexa to select what music you want to play, using either Amazon’s service or a Spotify account. 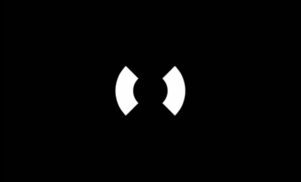 This can be hit and miss: Asking it to play Three 6 Mafia’s classic ‘Tear Da Club Up ’97’ can confuse it – the voice recognition is good, but it struggles with some of the Memphis classics. The second generation model also has a Bluetooth connection, so you can connect your device the old-fashioned way if the voice control gets irritating. While it’s an affordable connected home device you can use to control lights and temperature, it’s not a proper multi-room system – you can’t pair two for stereo sound or stream the same music in different rooms of the house. 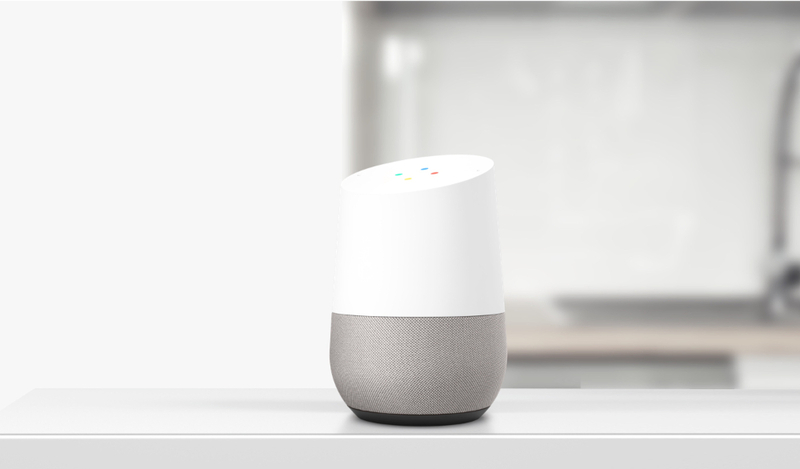 The newest addition to the world of wireless audio is Google Home. 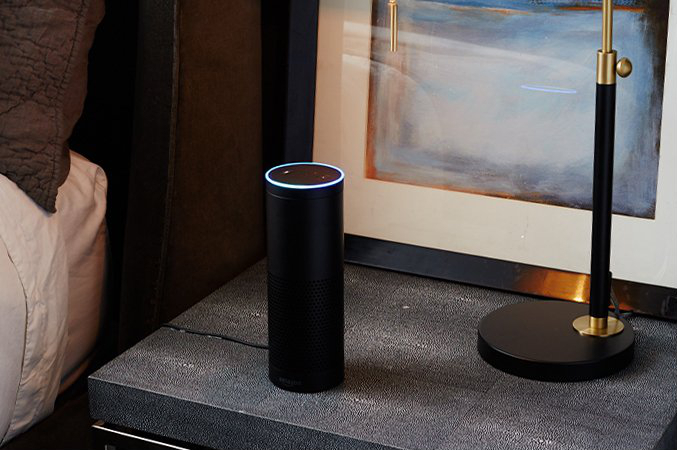 Like Amazon Echo, it’s a home audio system that doubles up as a connected home control center. Each speaker is cheap ($129), and, unlike Amazon Echo, offers a proper multi-room audio experience. They look better than Amazon’s devices, but there’s not much difference in sound quality – decent, but certainly not a patch on the Sonos Play:1, whose bass is fuller and much more capable of filling a room. Where Google Home excels over the Amazon Echo is voice control. As you’d expect from a company that has been dominating most of the globe’s search traffic, Google Home’s digital helper is better at recognising commands and obscure band names than both Alexa and Siri. 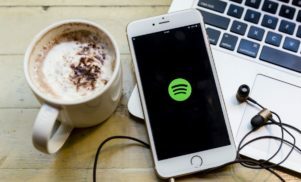 However, perhaps its most useful feature is direct integration with YouTube, which is the world’s most popular destination for streaming music. 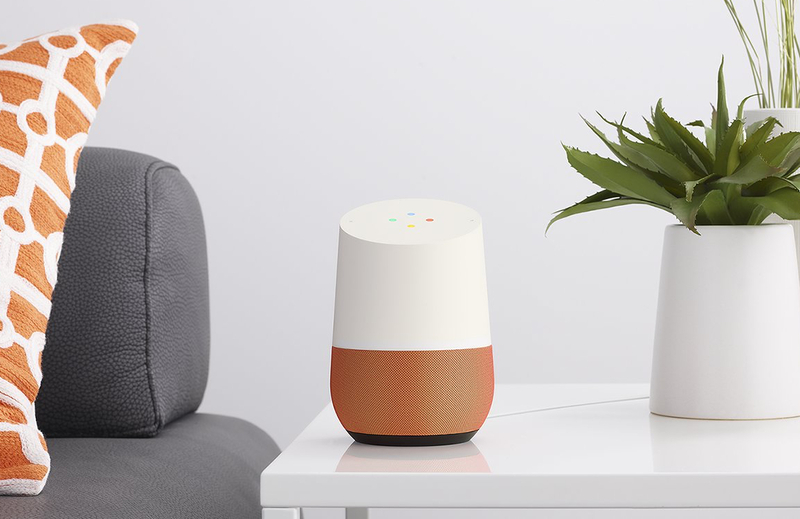 Google Home comes with a six-month subscription to YouTube Red, which it can use to access the video streaming site’s almost limitless collection of music. It’s more expensive than the $3.99 of Amazon Music Unlimited, but the power to demand obscure techno and disco 12″s while chopping vegetables is something you can’t always get from Spotify. If you own an audiophile hi-fi system, you might assume you won’t be able to get audio streaming from your phone or laptop. However, it’s actually very affordable to add wireless streaming capabilities to any hi-fi system or separate with an auxiliary cable, as long as you don’t mind a dongle being attached. 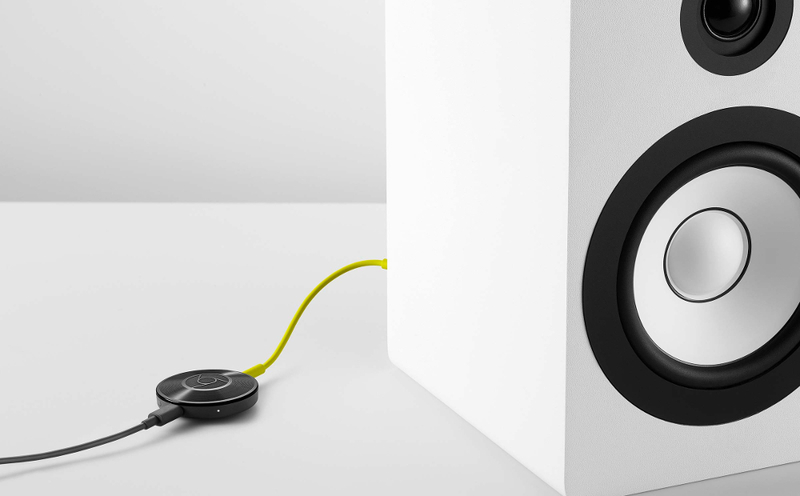 Google’s Chromecast Audio is one of the least expensive options ($35), and streams music from your devices over Wi-Fi. So long as your service is compatible (see below), you can get your music playing by selecting the Chromecast as a device from within the app itself. Its connections are also fit for audiophiles: as well as the standard 3.5mm jack, there are stereo RCA connections and an optical input. Amazon has its own solution to this problem, the Echo Dot ($49.99). It’s essentially the company’s Echo device minus the speaker, so you can order pizza from your hi-fi if you want. It works over both Bluetooth so it’s easy to pair with any device no matter what service you’re running, but it lacks the superior connectivity of the Chromecast Audio, sporting just a 3.5mm jack. If you want to start a Sonos system, the company has its own conversion device, the CONNECT. It’s expensive ($349) and bulky compared to its rivals, but has the best set of connectors – RCA, and both optical and coaxial digital outputs. For the money it costs to buy though, you could buy two Echo speakers. 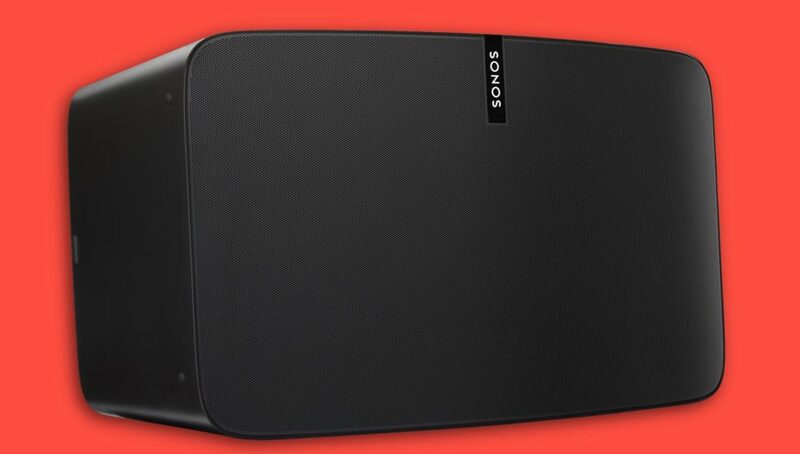 Whether it’s right for you comes down to how invested you are in the Sonos ecosystem. What’s the most universally compatible streaming service? Another important thing to consider when buying a multi-room system or streaming device is whether it’s compatible with your streaming service of choice. This isn’t a problem if the device supports Bluetooth, but if you’re using Google Home over Wi-Fi for example, you might run into problems. Google, which has its Play Music service, has a vested interest in keeping Apple Music off its system. The most universally supported streaming service, unsurprisingly, is Spotify. With 40 million paid subscribers worldwide, companies need it to be compatibile with their products or they’re alienating the biggest chunk of the streaming market. Sonos, Amazon Echo, Google Home and Chromecast Audio all support it. The fast-growing Apple Music however, is limited to Sonos compatibility out of these systems. The best advice for buying a home audio system now is the same as it’s always been: listen to different devices in a store before you buy anything. However, if sound quality is your priority, don’t invest in Amazon Echo or Google Home – Sonos, an existing hi-fi system connected to Chromecast Audio or one of the many standalone Bluetooth speaker systems on the market will give you a markedly better listening experience for the same money. There are also several other multi-room systems on the market: Sony, Samsung, Philips, LG, Bose and Denon offer their own product ecosystems if you don’t want to go with Sonos, but these also have no voice control. If you’re a Tidal subscriber and high resolution audio is important, then Bluesound is capable of playing high-resolution audio up to 9216 kbps. If you don’t care about sound quality, Google Home has arguably the better voice control system, but Amazon Echo will give you as much music as Spotify for just $3.99 a month. If the connected home aspect is important, but you don’t want to sacrifice sound quality however, there is one option. Sonos users will soon be able to control their devices with Amazon Echo speakers thanks to a recent partnership. The best option if you want good sound and voice-controlled multi-room system? Buy some Amazon Echo Dots and use those to control a Sonos system. Your ears will thank you, even if your wallet doesn’t.